Should Non-Celiac Patients Go Gluten-Free? Is “gluten-free” just the latest diet craze? That’s what critics say who point out that despite the growing popularity of gluten-free diets, only 2% of Americans have actually been diagnosed with celiac disease, according a 2012 survey. People with celiac disease can have dangerous allergic reactions when exposed to gluten, a protein found in wheat. Some doctors say there’s no need for patients to avoid gluten if they don’t actually have celiac disease since doing so without a balanced diet could deprive them of much-needed nutrients found in wheat products. But many people argue that going gluten-free helps them gain more energy, lose weight, and ease gastrointestinal symptoms. 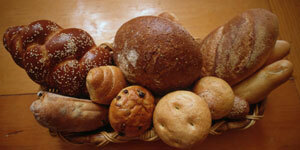 Recent research suggests that gluten intolerance isn’t limited to those with celiac disease. A 2011 study included 34 patients with irritable bowel syndrome who did not have celiac disease but said that a gluten-free diet controlled their symptoms. To test whether the improvement in symptoms was simply the result of the placebo effect, the participants were given two slices of bread and one muffin to eat daily during the study. Half of the participants received bread and muffins containing gluten and half received gluten-free versions specially formulated to be identical in taste and texture to the regular versions. Participants were unaware of which version they received and were simply told to record their symptoms during the study. In the gluten group, 68% of people said their symptoms worsened with more bloating, pain, tiredness, and loose stool. “Although this study does not identify a mechanism for non-celiac gluten intolerance, it provides the most convincing evidence yet for the existence of this condition,” stated William F. Balistreri, MD, of the University of Cincinnati College of Medicine, who commented on the research in a recent article from Medscape. These findings, along with other recent research, led a panel of celiac experts to conclude that there is a broad umbrella of “gluten-related disorders”, even in people without celiac disease. However they still do not know how many people are affected by non-celiac gluten sensitivity, or even how to reliability diagnose it. Although more research is needed to understand non-celiac gluten sensitivities, many patients with irritable bowel syndrome, Chrone’es disease, or other gastrointestinal disorders may benefit from avoiding gluten. Experts caution against going gluten-free without the guidance of health provider however. “Certainly, getting tested for celiac disease before commencing a gluten-free trial is still optimal,” Dr. Balistreri explained. That’s because people with celiac disease have an increased risk of cancer, are forced to adhere to a lifelong strict diet, and may have an inherited intolerance requiring family members to be screened, he pointed out. A doctor of chiropractic trained in nutrition may be able to identify whether you have a gluten sensitivity, and support you in making healthy nutrition decisions. Balistreri W. “Could this patient have ‘non-celiac gluten sensitivity’? Medscape Today. February 11,2013. Accessed March 14, 2013. http://www.medscape.com/viewarticle/778320?src=wnl_edit_specol&uac=178718CJ. Biesiekierski JR, Newnham ED, Irving PM, et al. Gluten causes gastrointestinal symptoms in subjects without celiac disease: a double-blind randomized placebo-controlled trial. Am J Gastroenterol. 2011;106:508-514. Ludvigsson JF, et al. The Oslo definitions for coeliac disease and related terms. GUT 2012; 62 (1): 43-52.